Set in the cool surroundings of the rainforest, a great spot to relax and catch up. 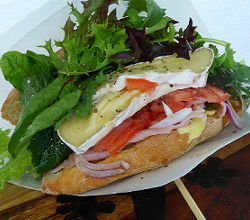 As well as our delicious Churros, Twister Potatoes & Coffee we are now also offering freshly made sandwiches! — at Kuranda Original Rainforest Market. 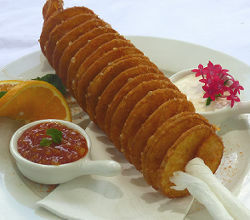 Just a few Facebook accolades: "Best Churros this side of Spain! Potato Twirls that would make leprechauns jump for joy!" 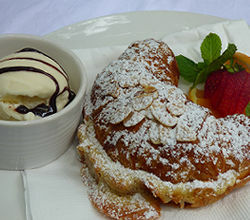 "Great food, brilliant service in a lovely setting." 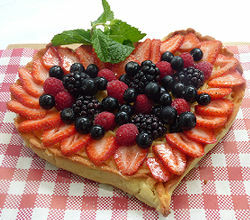 Located in the vibrant surroundings of the Original Rainforest Market, “Petit Cafe - French Creperie " has a unique and welcoming atmosphere. 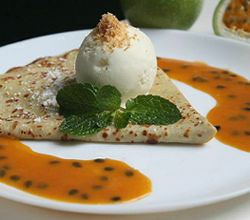 The authentic menu offers a wide selection of gourmet crepes each made to order with fresh ingredients and winning combinations intended to entice the taste buds. Try a savoury crepe ( traditionally called Galettes ) accompanied withe a glass of French Cider for a thoroughly satisfying lunch. 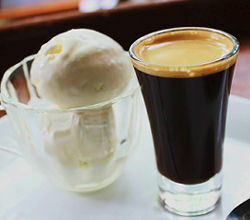 Maybe be decadent and follow with a sweet treat from the dessert crepe menu and a cup of locally grown biodynamic coffee. 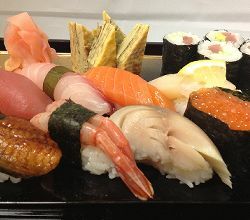 Amazing Japanese food available at Sushi Momiji located in the Original Rainforest Markets. 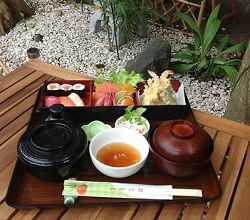 The Momiji Combination box is delicious!! 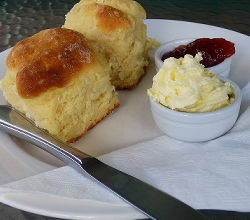 The Queen Bee Cafe, Kuranda is a great place to unwind , an ideal place to watch and forget about the hustle and bustle while you enjoy a freshly brewed coffee or a cold drink with a cuisine selection from our affordable menu. 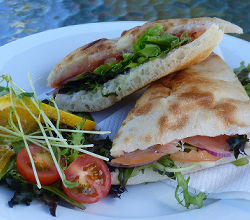 A family owned business Queen Bee Café is a unique dining experience, live local entertainment weekends on the deck surrounded by stunning rainforest, butterfly’s and nature! 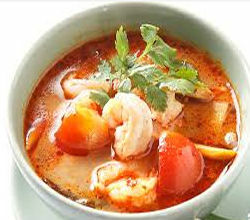 Come along and enjoy rainforest dining at its best. 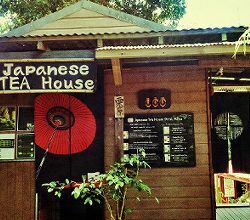 The first ever Japanese style sweet shop in Australia . Owner/Operator Ben’s family lineage made traditional Japanese sweets in Tokyo. 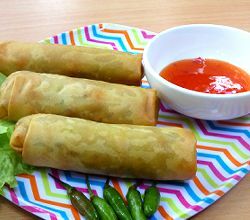 Ben has been a chef in Cairns for many years. 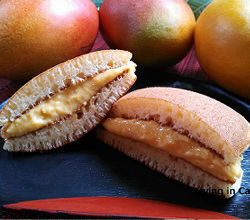 Ben offers DORAYAKI filled with flavoured cream ranging from fresh mango, green tea and others. DANGO with eucalyptus or sweet soy sauce. OHAGI sticky rice with red bean, aonori, kinako. 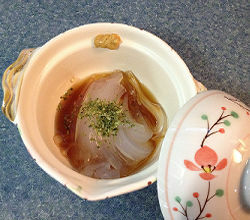 Also healthy food TOKOROTEN vegetarian agar agar jelly with vinegar and soy sauce. Authentic traditional Japanese tea. 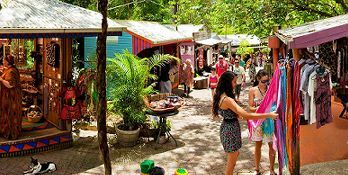 One of Kuranda’s best kept secrets – Quaint and peaceful. This little tea house has an amazing Zen feel to it. 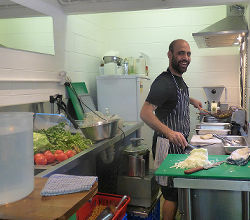 It is meticulous in its tradition and your tea/drink is lovingly handmade with the utmost respect and care by Kai. 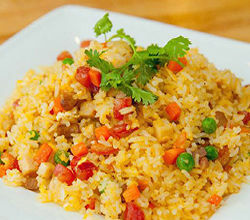 Japanese Teahouse has a variety of flavours and is healthy, uplifting and delicious. A must see for tea lovers. Health beneficial Japanese green tea is grown in beautiful natural settings using the chashou technique. In Japan, the tea most commonly served alongside Japan’s low-calorie cuisine that emphasizes the flavor of ingredients is Japanese green tea. 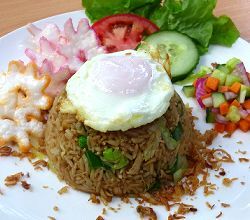 Its beautiful color is an all-natural extract from the tea leaves, and its elegant aroma gives a sensation of freshness. Only Japanese green tea can offer such a variety in its fusion of flavors. Roasted Green Tea with Mango - This tea is blended with Houjicha, which our Japanese tea is fairly low on caffeine and tannin. This makes it easy for pregnant women to drink. 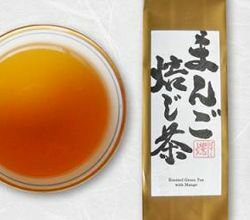 This tea is also blended with dry apple to give the mild and light taste, resulting in a sweet fragrance of mango and refreshing aroma of Houjicha. 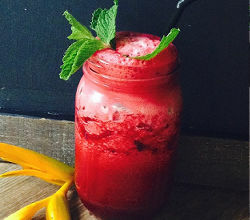 Fresh Juices, Smoothies, Organic Coffee, Iced Teas & Coffee, House Brew Chai, Sweets & Snacks all Gluten & Dairy Free. Retail shop stocking locally made natural body products, organic soaps, Daintree Chai and much more . 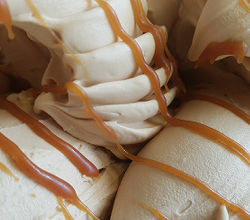 . .
Our Gelato is 100% our own recipe, and all natural. 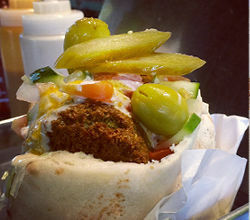 We make it fresh on site. 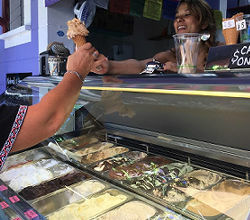 The sorbet contains no animal products at all making it vegan and all made of locally grown fruit. 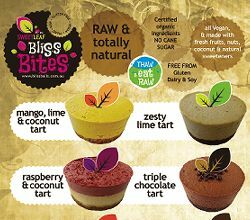 At Sweet Leaf Bliss Balls, we create a range of delicious raw foods that are gluten and dairy free with no added sugar. Our shop at the Kuranda markets is the home of our wholesale business and commercial kitchen operations, and is a great place to sample our entire range. 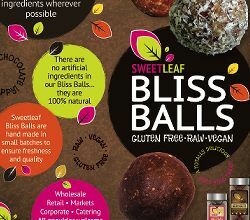 All Sweet Leaf Bliss Balls are made using a combination of wholesome ingredients. We begin with almonds and dates, and then and various natural ingredients such as raw cacao, coconut and spiced essential oils. Sweet Leaf Bliss Balls are a wonderful snack, and are a great addition to school lunch boxes or can even be eaten as an after dinner healthy dessert. No matter what time of the day, Sweet Leaf Bliss Balls are an easy way to add healthy fats, carbs and protein to your diet with an energy punch!
" 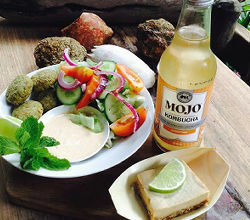 yummy authentic falafel", "homemade lemonade" and "curry sauce"